AngularJS - Why every web developer should know it better ? Are you about to build your next web app? 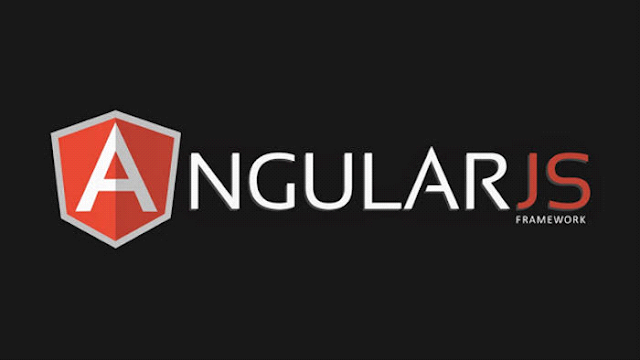 Have you heard a lot about AngularJS but are still unsure whether to choose it or not? If your answer to both these questions is a 'Yes' then you're on the right post. Here, I'll be making you familiar with some compelling reasons why knowing AngularJS and using it during your forthcoming web app development project is a 'Win-Win' situation, both for you(as a web app developer) and for your client. So, let's take a closer look at these reasons which make AngularJS a must-know framework for web developers across the globe. The Data-binding feature available in AngularJS saves you from putting data into the views using a manual approach. Rather, the view is being defined using HTML, making it simpler to write the data models without facing any kind of issues. In addition to this, the in-built filters enable you to manipulate all the data that has been stored inside the view, without the need for altering controllers. With such brilliant utilities in hand, you can save yourself from worrying about writing lengthy and complex code. It is the Dependency Injection(DI) feature of AngularJS which makes it ready and available for unit testing. This DI asset allows it to manage the scopes and controllers. With unit testing for AngularJS, you can opt for injecting mock data into the controllers, thereby measuring the behavior and output in a fuss-free way. AngularJS comes loaded with services which offer an outward API which is further utilized for exposing components you intend to expose for your web application. By synchronizing with your server, AngularJS works as the best option for maintaining an offline data backup for your app. Also, you can opt for creating a separate resource sharing service which would allow your multiple controllers to share a specific set of resources. All the services available with AngularJS serve as standalone objects which have been separated from the web application and enable your controller to stay lean. Therefore, you need not configure any third-party services for your controller as all the complexities would be well taken care of by these default services. Since all the data models defined in AngularJS are POJO, you need not create any additional functions for tweaking the web application. You are free to add and modify the properties, followed by looping over the arrays and objects in accordance to your specific preferences. Doing this will make your code look a lot more crisp, clean and intuitive. Unlike the conventional data models, AngularJS's data models work in close proximity to the controller and view. All the changes made to the properties are being keenly observed by AngularJS, which further updates the review via an automatic approach. I'm sure the aforementioned reasons would have given you an idea of what makes AngularJS a powerful and robust web app development framework. Irrespective of the purpose behind building an application, AngularJS would turn to be the right fit for your specific domain. Leveraging features of AngularJS will undoubtedly enable you to come with a web application that is loaded with flawless functionalities and visual assets worth receiving numerous remarks. Author Bio: Maria Mincey is qualified web development outsourcing professional who is great at delivering focus in her writings. She works for Xicom Technologies, a software development company which delivers most comprehensive web applications and solutions for different industry verticals.